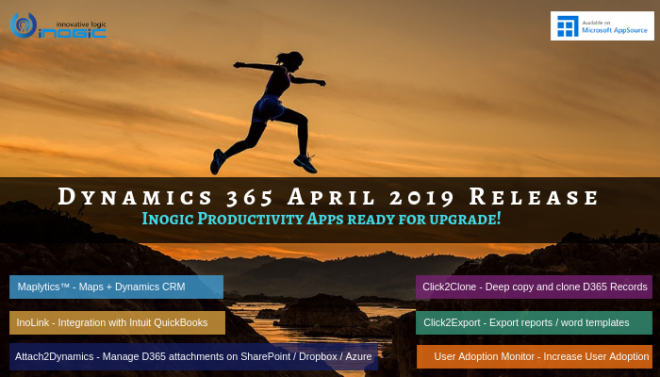 Powered by passion – Inogic is a leading Microsoft ISV for Dynamics 365 CRM for over more than a decade. We brew innovative products and fuel Dynamics 365 with our range of solutions. Inogic also offers bespoke high-quality low-cost offshore development services for Microsoft products such as Power BI, Flow, PowerApps, Portals and others. Given our super modern slick technology, we believe in sharing tips and tricks with our community from time to time. Therefore, we come up with informative blogs and are quite active on community forums. In this blog we are going to compile the top five blogs of 2018 which have been most clicked. Compiling them again for our friends who missed these posts. Thank you so much for sharing our posts and encouraging us to explore Dynamics 365 and Power Platform. This blog talks about how Xrm.WebApi acts as a boon for developers. In the versions prior to v9.0 one had to create their own libraries or use third party libraries or create XmlHttpRequest and AJAX request. 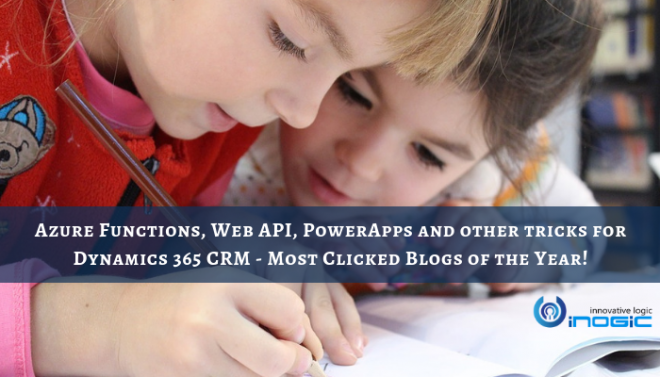 With Xrm.WebApi enhancement in Dynamics 365 CRM v9.0 developers’ life is made easy. In a continuation to this blog Dynamics 365 v9.0: Xrm.WebApi – Operations Part – 2 we have discussed how to Retrieve Multiple records and Execute Actions. Azure function is a server-less architecture where you can host your code on cloud without any infrastructure. In this blog we have taken example of creating Azure function and called same through workflows. We have also depicted how a function can be executed as an HTTP request. This series of blogs talks about invoking Azure functions from Dynamics 365. PowerApps allows building business Apps that run cross platform. Citizen developers with minimal development capabilities can build Apps and deploy them for usability. These apps are modular in nature and these can be dragged and dropped to build an App in short span of time. It allows anyone in an organization unlock new business agility. Given a business requirement we needed to set lookup fields using PowerApps in Dynamics CRM. This is not inherently supported in PowerApps so after a little research we found out the solution to this. This blog explains the steps to read and set Lookup fields of Dynamics 365 in Power Apps. This blog discusses about how using the new feature introduced in Microsoft Dynamics 365 v9.0 users can show lookup dialog using Xrm.Utility.lookupObjects method. The parameters required for Xrm.Utility.lookupObjects are list of the entities to be displayed, default entity to be shown in lookup window, Guid of default view, specification whether to allow user to select multiple records and list of views that need to be available for lookup dialog. Using these parameters a lookup dialog can be seen. After the introduction of UCI there is a generic interface for the end users, this is about UI but behind the scene for developers Microsoft provided “Execution Context” object which is a collection of array. This blog talks about how we can pass the Execution Context using “Primary Control” CRM Parameter to Script function which we can call on Click of Custom Button. If you want to explore more informative blogs visit this space.